Hey Guys! Today I am back and ready to rumble with a week 1 pocket scrapbooking spread. 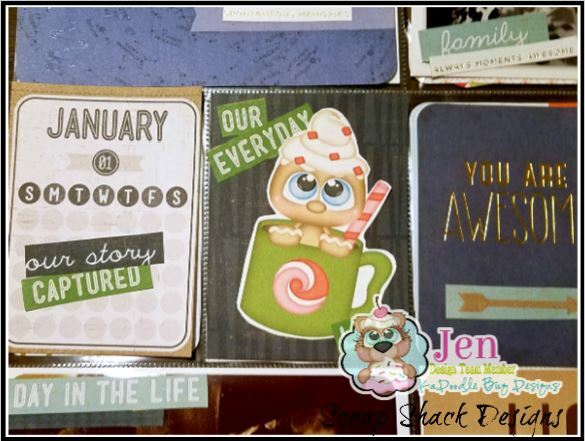 Now the thing with pocket scrapbooking is that it's supposed to be super simple, like so simple you can complete a layout every week & never fall behind on keeping those memories cherished. I myself have always completed a annual mixed family album, meaning that it has both traditional and pocket styles incorporated. However, since I now am a mom of three and time is so precious and valuable I am going to try to see if the all pocket style is truly faster and worth my while. The lighting on this first one came out very off color and I just could not edit it back to save my life. The close ups are much better, so just bare with me. I decided to use that Ginger file twice, isn't it so adorable?? I love the KaToodle line. I used a larger version of it on a pocket card that measured 3" x 4" and then I used a smaller version of it as a corner accent on a picture. So far, in this pocket vs. traditional journey, I have realized pocket scrapbooking tends to be more portable, you can get away with being cheap and purchasing only 6" x 6" pads (no more bulk!!) and they do tend to come together faster than a traditional page. Let me know what you think below. 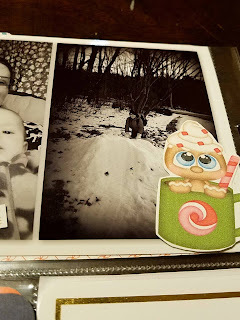 Also if you are new to pocket scrapbooking I have a great archive of posts located here including this L2L - "Introduction" post. Please make sure to never miss a project and subscribe via email. 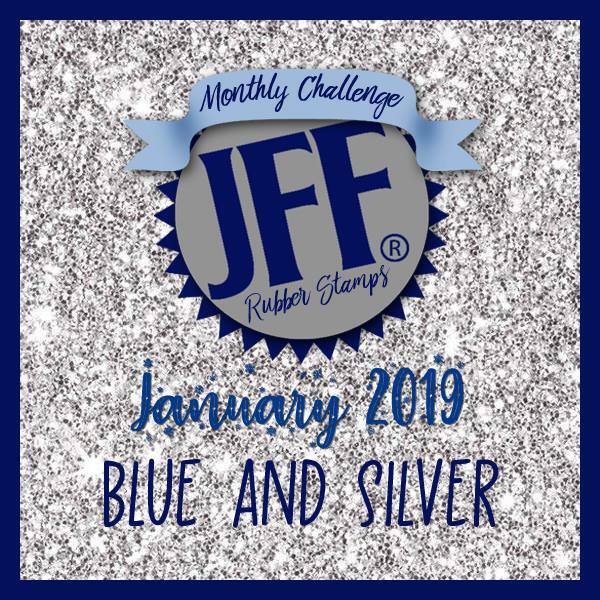 Welcome to the New Year which means that it's my month to host the Just For Fun Stamp challenge this month! 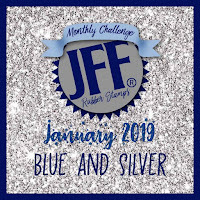 I chose the wonderful color combination of "Blue & Silver/White" because January always reminds me of the snow and the true launch of winter. Now with that in mind Just For Fun has a number of wonderful winter scene stamps ranging from ice skaters to horse drawn carriages, to snowflakes and more and taking it a step further we can get into the nautical/masculine theme!! So many options so I hope you come over and join us. This particular nautical stamp is called the "Tall Ship." You can find more of their "Beach and Seashore" collection here. 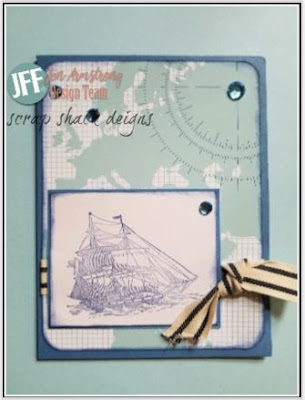 the rules are simple.. make a new project, use a rubber stamp, and have fun!! Hey guys in an attempt to get back on track I wanted to come on and share a really fun and super easy hot cocoa pouch. 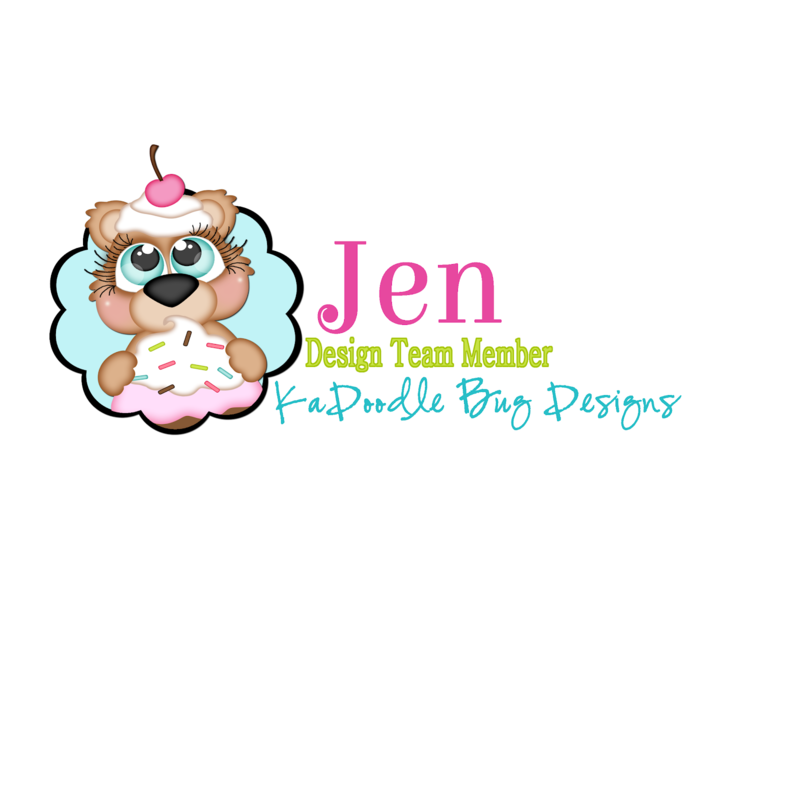 This little baby came together in no time flat and the print and cut file from KaDoodle Bug Designs makes it even easier. These are excellent little treat packs for any holiday (just mix and match the paper) or even for play dates and giving out to friends...I mean who doesn't love hot chocolate all winter long. The little pockets are very simple to put together and with a few paper punches and embellishments come together really fast, making them equally well during craft fairs. 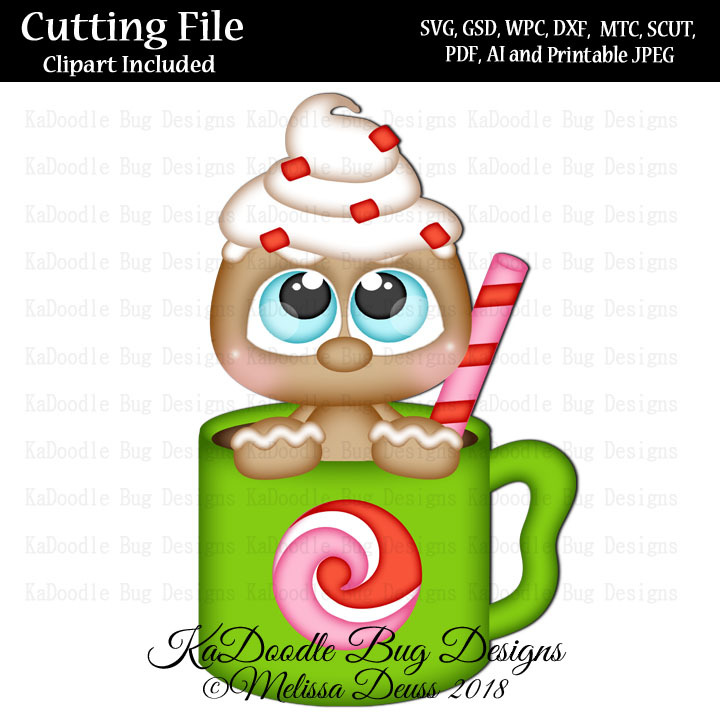 The adorable little ginger die cut is called Hot Cocoa Ginger and is part of the Cutie KaToodles collection :) This file would be super cute as a tag or even as a larger die cut on the front of the envelopes/cards.